Recover deleted files from a drive. Is there a better alternative to FileSalvage? Is FileSalvage really the best app in Backup category? Will FileSalvage work good on macOS 10.13.4? been stored on a drive before it was re-initialized/formatted. 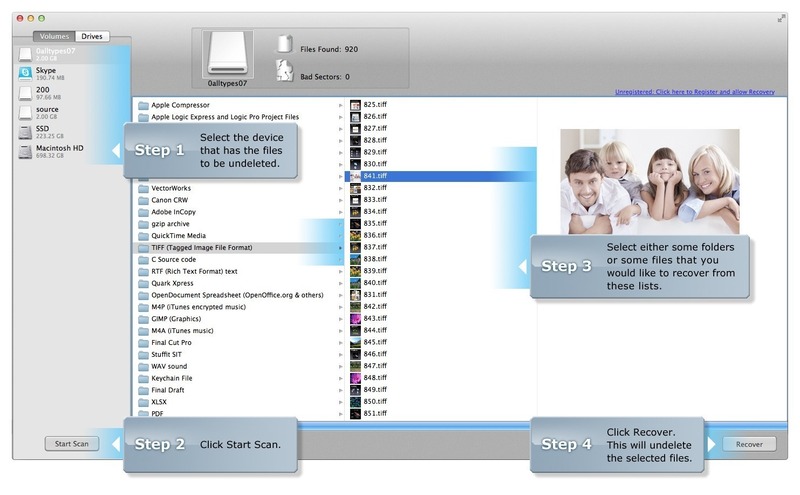 Use FileSalvage to recover your lost files, music libraries, iPhoto collections, and to rescue data that has been lost. Updated to support OS X Yosemite (supports Mac OS X 10.7 and higher). Available ONLY by Download! FileSalvage needs a rating. Be the first to rate this app and get the discussion started! FileSalvage is device and file system independent, which means that the user can recover files from a normal Mac OS hard drive, USB key, PC disk, Linux disk, FAT32 disk, FLASH card, Digital Camera, iPod (non-iOS based), and almost any other media or file system that can be recognized in Mac OS X.